Heritage Space, in co-operation with The Hub for Experimental Music and Art DomDom, will begin a series of experimental music called ‘Beyond the Sound’ by a performance featuring drummer/percussionist Will Guthrie on Saturday. 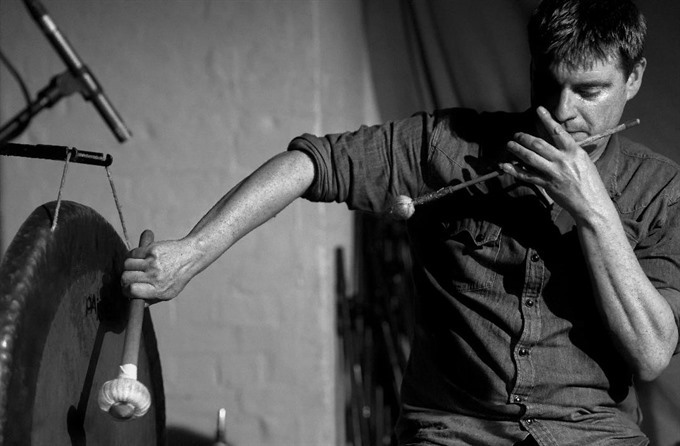 An Australian artist living in France, Guthrie works in many different settings: live performance, improvisation and studio composition, using various combinations of drums, percussion, objects, junk, amplification and electronics. His music has been released on labels such as Black Truffle, Editions Mego, Ipecac, Erstwhile, Clean Feed, Gaffer Records, 23five, iDEAL and his own label Antboy Music. While studying jazz and improvised music at the Victorian College of the Arts in Melbourne, he started the weekly concert series Improvised Tuesdays, now known as the Make It Up Club. The series is Australia’s longest running performance space dedicated to experimental and improvised music. In Nantes, France, he is part of the collective Cable# which holds regular concerts and an annual festival. He plays solo using different combinations of drums, percussion, amplification and electronics, in minimalist/maximalist free jazz trio The Ames Room, as well as the improvised/composed ensemble The Sommes Ensemble.